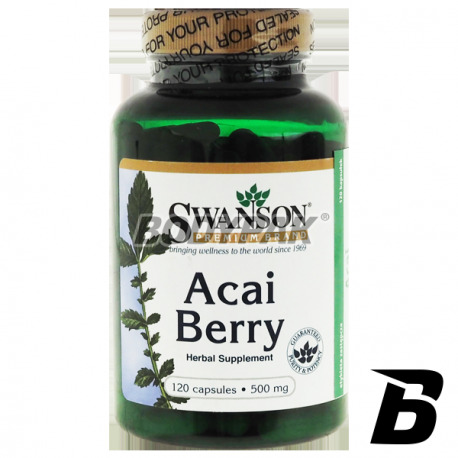 Health & BeautySwanson Acai Berry 500mg - 120 kaps. 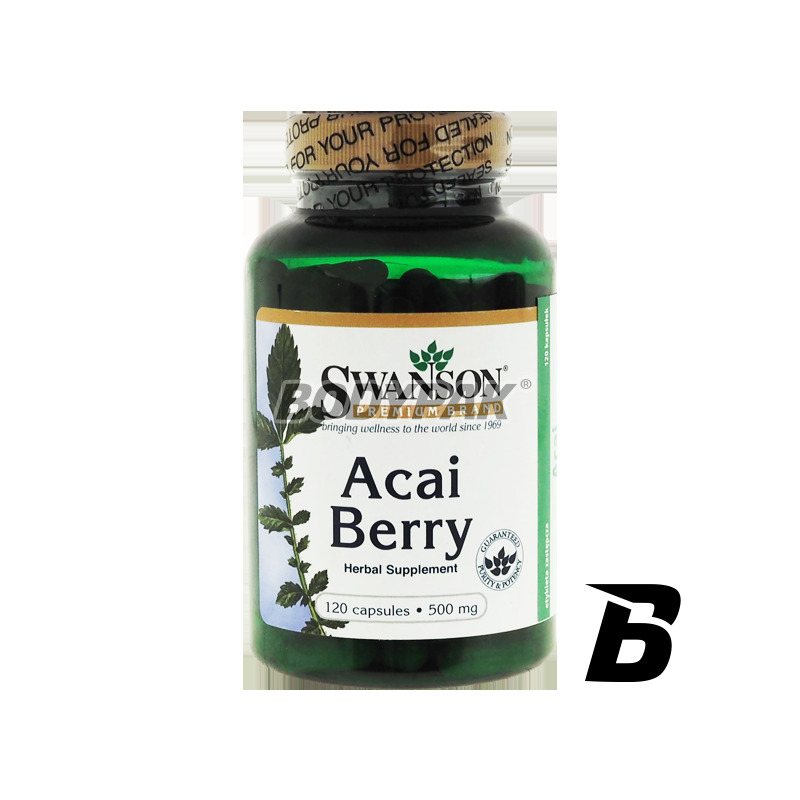 Acai (Euterpe oleracea) from areas of northern Amazon and classified superfruits, characterized by a high content of nutrients and a strong antioxidant potential. These properties have been recently used to their use as functional food. Acai fruit characterized by a high content of antioxidants (mainly polyphenols and anthocyanins), a variety of amino acids and phytosterols. They also contain fatty acids, dietary fiber, vitamin A, potassium, iron and other. Antioxidants primarily inhibit the activity of free radicals by delaying the aging processes of the body. Acai fruit regulate metabolism and suppress the appetite, so they are valued by people actively slimming. Omega-6 and omega-9 positively affect the cardiovascular system, improve immunity and mental performance, a number of amino acids to nourish muscle tissue. Składniki: Acai, żelatyna (otoczka kapsułki), stearynian magnezu i/lub dwutlenek krzemu (substancje przeciwzbrylające).